APPLICATIONS: Use on parking ramps, mechanical rooms, stadiums, balconies, plaza decks, etc. Substrates: Exterior-grade plywood or concrete. Not for use over asphalt surfaces. 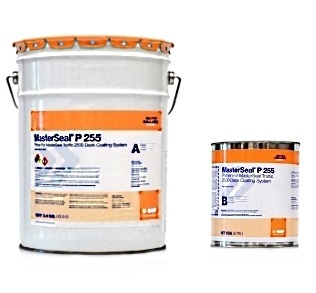 A TWO component fast curing polyurethane based waterproofing PRIMER for MasterSeal / Conipur system. Cures in 2-3 hours.